It becomes very important to gain a complete control and efficiency when managing inventory for your business. Before the advent of technology, managing the complete lifecycle of inventory processes was the biggest challenge for any sized retailers. However, today, Goods Order Inventory System (GOIS), offers a comprehensive out-of-the-box barcode solution to increase inventory count accuracy. With our integrated barcode system, easy-to-use and implement software, comprehensive training and technical support, Goods Order Inventory System (GOIS) has all your mobile barcode inventory management needs covered. Greater accuracy – Relying on a barcode to process information is far more precise than relying on manual data, which is extremely prone to mistakes. Real-Time data – Because of the processing speed, information about inventory levels or sales is available in real time. Minimum Training required – Thanks to the ease of the barcode scanner, employees need little training to understand. Improved Inventory control – Being able to scan and track inventory yields a much more accurate count, as well as a better calculation of inventory turn. 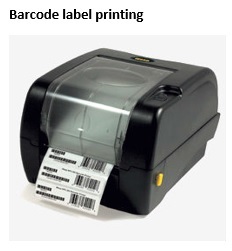 In addition to barcode scanning, Goods Order Inventory System (GOIS) can also print barcode labels. Every company handles bar code labels slightly differently so we designed the system to be very customizable and present many options for barcode printing. Regardless of what information – UPC codes, product ID, serial numbers, lot IDs or a combination – is used in the naming convention, we can support it. ← Previous Previous post: How to Connect GOIS with QuickBooks Online?